It's not easy to pin-point when exactly tablet computers landed in our palms. It was a gradual, quiet and directionless revolution that stuttered along until one idea changed everything. There were just eight tablet-like devices between 1993 and 2009 before Apple introduced the first iPad - none managed to take off. 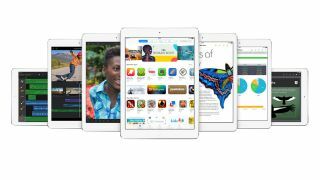 Post iPad and in 2012 alone there were over 128 million tablet sales worldwide, with Apple taking 53% of the market. According to IDC, tablet sales are growing 142.4% every year and in the first three months of 2013, 49 million slates were shipped - more than the first six months of 2012. The forefathers of the Galaxy, Nexus and iPad were fundamentally flawed. They were stand alone, proprietary devices aimed at giving you home computing on the move - but without any of the home computing power or intricate functionality. They also suffered without wireless connectivity and, well, the internet. The iPad inventor wasn't always so prosperous. In 1993 Apple attempted to create a new way of computing. It failed miserably, but indirectly started a 20 year quest for the perfect tablet PC. But in 2010 Apple reinvigorated the tablet by making a device that was built around multimedia and made with the polished, trademark, Apple style. All those failures were just as important as that one success though. Here we look at the four tablets that took one for the team and allowed the iPad to rise from their ashes. The Message Pad is where it arguably all began. The Message Pad was Apple's attempt to fill a non-existent gap in a yet-to-be-created market. This was surprisingly the first of seven other models that eventually met their maker in 1998 after five years of being in production. The very first Message Pad had a 6-inch screen, weighed 800g (the iPad Air has a 9.7-inch screen and weighs 469g), ran Apple's Newton OS and had the legendary text recognition system. There were even Newton dedicated stores around the US that sprung up after launch where visitors were given advice and information on Newton based products in a relaxed casual fashion. Sound familiar? The Message Pad was designed to be a personal assistant with scheduling, notes and a calculator. The very first device was met with criticism, mainly because of the comically poor accuracy of the text recognition software that was the subject of extensive lampooning in the media, including The Simpsons' 'Eat Up Martha' skit. The device also had no PC connectivity and it ran on three AAA batteries that gave it poor battery life. Learning from Apple's mistakes, the Palm team attempted to put together a PDA that wasn't dogged by software issues. The founders had initially wanted to create handwriting recognition software to improve on Apple's attempt, but after some research they believed that they could build a better device too. And in 1996 the Palm Pilot was born. The PDA ran on a 16MHz Motorola Dragonball processor, had no backlight, no flash memory and 512KB of on-board RAM. What made it stand out from Apple's device was that it had a 'Hot Sync' feature where users could connect it to their PC via serial port, which were popular at the time. The Palm OS and Graffiti handwriting recognition software proved to be popular with enthusiasts but failed to capture the imagination of the mass market. Intel had the first real crack at making an internet based tablet that was purely for the consumption of multimedia and not a personal assistant. It had a touchscreen in combination with a stylus and ran a on StrongARM chip. Not much else is known about the spec of the device. In 2001 it was described it as "a portable, wireless Internet-surfing device that looks like a laptop's screen." To make the device portable it came with a separate wireless adapter that had to be plugged into your PC and installed. The tablet would then connect to the internet, via your PC, and you could take it around the home and browse the internet. Without an internet connection it was virtually useless. Funnily enough, the product was distributed to vendors around the US but pulled before launch, so it was never actually sold. There's no clear reason why, but Intel was embroiled in a trademark design war with Cyrix-NatSemi, which had apparently designed something similar called a 'NewsPad' several years earlier. Microsoft came late to the tablet game in 2002, but it was by far the most accomplished. They shipped with a tablet version of Windows XP, had 600MHz processor, 128MB of RAM, an impressive 10GB of hard drive space, bluetooth and wireless networking. It also had the handwriting recognition software that seemed to be the industry standard for tablets at the time. It was a true heavyweight. They looked almost identical to the tablets of today and had some impressive specs for a portable computer that is more than a decade old. Bill Gates reportedly said in 2002 that "within five years I predict it will be the most popular form of PC sold in America."